"I’m totally loving this fresh color combo! 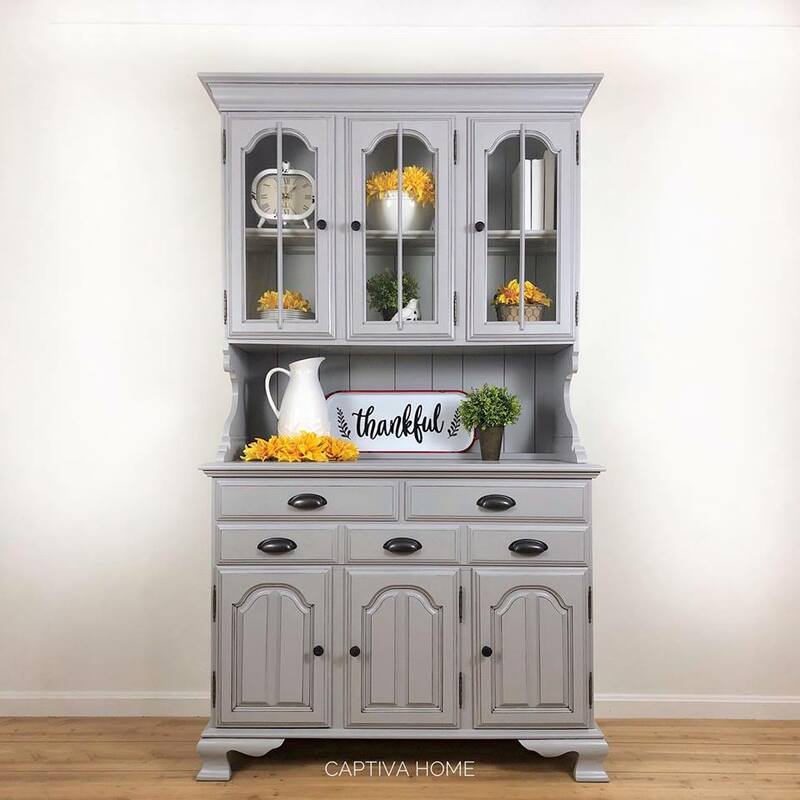 This vintage hutch was updated in General Finishes Seagull Gray, Pitch Black Glaze & High Performance Topcoat for a gorgeous finish! I’m loving how the white and yellow flowers POP against the color & create a beautiful, fresh feel to this classic piece!" - Captiva Home - Furniture Painting Visit www.captivahomedecor.com to purchase GF products.